With the latest update, the NVIDIA Shield can directly record and play back live TV from an attached tuner. When SiliconDust announced its DIY DVR project a year ago, recording your shows meant building a PC dedicated to the task, or hooking up network storage. Now it's testing out HDHomeRun Record for Android TV, which lets you create an entire DVR with just one of its TV tuner devices and an Android box. Unfortunately, suggested requirements of Android 6.0, Ethernet, and a USB 3.0 connection for external storage mean Amazon's Fire TV and Google's Nexus Player won't work, but NVIDIA Shield Pro owners should be able to try it out immediately, thanks to their 500GB of built-in storage. You can watch the recorded shows directly on the device, or on any platform that runs its HDHomeRun View app. 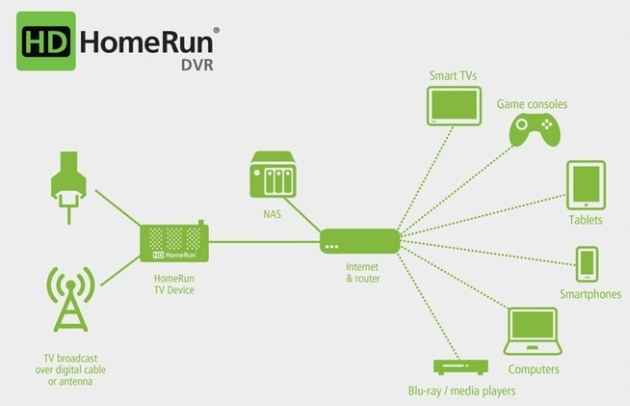 The HDHomeRun DVR still has some work to go before it's officially released, but once it's done the idea is for anyone to make the kind of DVR that suits them, with access to programming from antenna or cable TV. While Kickstarter backers and subscribers can try things out now, some of the features still in the works include the View app for OS X, support for protected premium channels and pause/rewing on live TV (trick play). With Windows Media Center on ice and TiVo recently acquired, it's an option worth considering if you're not ready to go all-in on internet TV just yet.